The great circuit-riding preacher/poet William Williams (b. Cefn-y-Coed, Carmarthenshire, Wales, 1717; d. Pantycelyn, Carmarthenshire, 1791) wrote the original Welsh text "Arglwydd, arwain trwy'r anialwch"–"Lord, Lead Me Through the Wilderness." 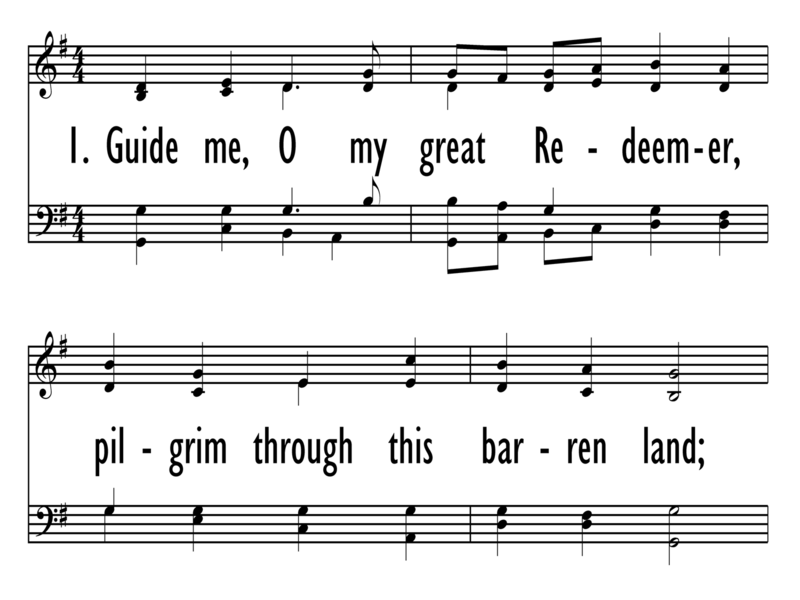 It was published in his Alleluia (1745) and in his Caniadau (1762) with the title, "A prayer for strength to go through the wilderness of the world." Translated into some seventy-five languages, Williams's text has become universally popular in Christendom (and with the tune CWM RHONDDA, a favorite at Welsh rugby matches). The English translation by Peter Williams (b. Llansadurnin, Carmarthanshire, Wales, 1722; d. Llandyfeilog, Wales, 1796), which began "Guide me, O thou great Jehovah," was published in his Hymns on Various Subjects (1771). That first stanza is still in use, but the remaining stanzas come from William Williams's own translation, which he prepared for The Collection of Hymns Sung in the Countess of Huntingdon’s Chapels (1771). Pilgrimage is a much-used metaphor in Williams's texts. "Guide Me, O My Great Redeemer" draws on images from the Exodus story in the Old Testament: "bread of heaven" (Ex. 16), "crystal fountain" (Ex. 17), "fire and cloudy pillar" (Ex. 13:21-22). But the New Testament, Christocentric focus of the text is equally clear in the repeated final line of each stanza: Jesus is the "bread of heaven" (or "bread of life," (John 6), the "rock" who is our "strength and shield" (1 Cor. 10:4), and the victor over "death … and hell's destruction" (Rev. 1:18). Thus the change from the original “Jehovah” of the first line to "Redeemer" makes eminent sense. William Williams and Peter Williams were contemporaries with a similar background. William Williams is usually considered to be the greatest Welsh hymn writer of the eighteenth century. He had begun to prepare himself for a medical profession, but the course of his life was altered when he was influenced by the ministry of Howell Harris, an evangelist associated with George Whitefield. Williams began to study for the ministry and in 1740 was ordained a deacon in the Church of England. After being refused ordination as a priest because of his evangelical beliefs, he joined the Calvinist Methodists in 1744. He became an itinerant evangelist and for the next forty-five years served as a leading figure in the revival movement in Wales. Williams's evangelistic preaching was greatly aided by his hymns, which were sung with great enthusiasm at revival and "society" meetings. Known as the "sweet singer of Wales," he wrote about eight hundred hymn texts in Welsh and over one hundred in English. They were published in Alleluia (1744), Hosanna I Fab Dafydd (1754), Hosanna to the Son of David (1759), Y Moro Wydr (1762), and Gloria in Excelsis (1771). Peter Williams was converted to Christianity by the preaching of George Whitefield and was ordained in the Church of England in 1744. His evangelical convictions soon made him suspect, however, and he left the state church to join the Calvinist Methodists in 1746. He served as an itinerant preacher for many years and was a primary figure in the Welsh revival of the eighteenth century. After being expelled by the Methodists in 1791 on a charge of heresy, he ministered in his own chapel during the last years of his life. He published the first Welsh Bible commentary (1767-1770) and a Bible concordance (1773); he was also one of the annotators for John Canne's Welsh Bible (1790). In addition Williams published a Welsh hymnal, Rhai Hymnau ac Odlau Ysbrydol (1759), as well as Hymns on Various Subjects (1771). 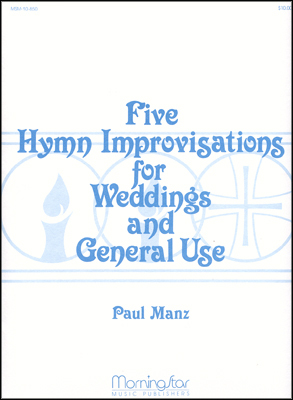 As a hymn of pilgrimage and prayer for divine providence; for various services and occasions on the Christian journey, including Old/New Year and the Easter season (given its Exodus theme). The popularity of Williams's text is undoubtedly aided by its association with CWM RHONDDA, composed in 1905 by John Hughes (b. Dowlais, Glamorganshire, Wales, 1873; d. Llantwit Fardre, Wales, 1932) during a church service for a Baptist Cymanfa Ganu (song festival) in Capel Rhondda, Pontypridd, Wales. Hughes received little formal education; at age twelve he was already working as a doorboy at a local mining company in Llantwit Fardre. He eventually became an official in the traffic department of the Great Western Railway. Much of his energy was devoted to the Salem Baptist Church in Pontypridd, where he served as both deacon and precentor. Hughes composed two anthems, a number of Sunday school marches, and a few hymn tunes, of which CWM RHONDDA is universally known. At first widely disseminated in leaflet form, CWM RHONDDA gradually was adopted into various hymnals. The tune is named after the valley of the Rhondda River, a coal mining area in Wales. Though composed with simple melodic means, CWM RHONDDA is a vigorous melody in major tonality (contrary to the popular belief that most Welsh tunes are minor). Sing in harmony. The altos and basses may wish to sing the little notes on the last line as they repeat the words "evermore," "strength and shield," and "sing to you." Accompany in a forceful, confident manner.